Last summer, I blogged a series of “It’s hot out there” photos. Since the heat’s not going away any time soon, I figure I’ll pick up where I left off. So, all that said… go to a pool. It’s Memorial Day weekend, after all. © 2012 by The York Daily Record/Sunday News. 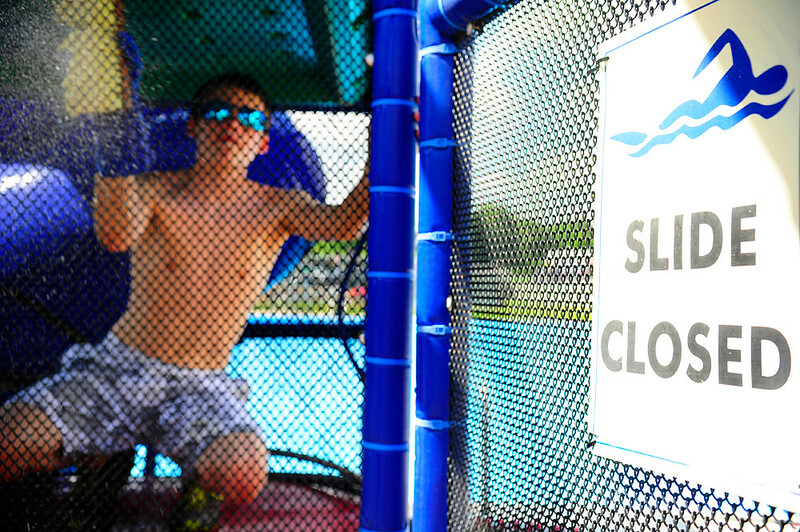 Lincolnway Swimming Pool lifeguard Nathan Bahn, 18, scrubs the lime scale deposits off the barriers of a tower structure that children climb to access two of five slides at the pool, on Thursday, May 24, 2012. Like other outdoor pools in the area, Lincolnway Swimming Pool will be open starting on Memorial Day weekend — specifically, Saturday.